Plum Bistro, Seattle’s wildly popular vegan restaurant, is known for its delicious and innovative vegan recipes using local ingredients. 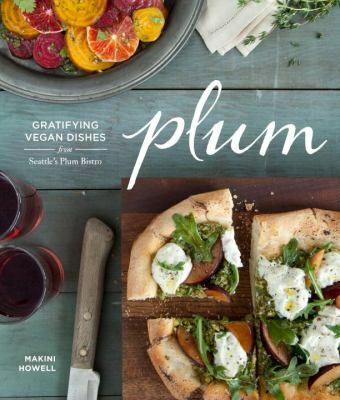 Sure to please both vegans and meat-eaters, Plum: Gratifying Vegan Dishes from Seattle’s Plum Bistro features Plum’s flavorful, comforting dishes for brunch, soups, salads, entrées, desserts, and more. This photo-filled book features 60 recipes, including Pesto Plum Pizza, Good Old-Fashioned French Toast, Barbecue Oyster-Mushroom Sliders, Fresh Blueberry Shortcake, homemade vegan pasta, and more.